Get ready to make a statement with the impressive Ancona Pro UC Turbo Series Hidden Controls 30 inch range hood. Built from a sophisticated design with highly resistant 430 stainless steel, the sleek hidden controls allow you to adjust settings to your optimal preference. With a powerful 900 CFM ventilation system, the Pro Series UC Hidden Controls range hood is an ideal choice when it comes to eliminating odours, smoke and steam from any cooking area. The durable easy-to-clean slanted stainless steel baffle filters are simple to remove and will redirect grease and moisture to hidden grease traps. The Ancona Pro UC Turbo Series Hidden Controls 30-inch range hood is the essential asset that will deliver the utmost culinary experience to your kitchen. UC PRO Turbo 30 inch Under-Cabinet Range Hood in Stainless Steel Get ready to make a statement with the impressive Ancona Pro UC Turbo Series Hidden Controls 30 inch range hood. Built from a sophisticated design with highly resistant 430 stainless steel, the sleek hidden controls allow you to adjust settings to your optimal preference. With a powerful 900 CFM ventilation system, the Pro Series UC Hidden Controls range hood is an ideal choice when it comes to eliminating odours, smoke and steam from any cooking area. The durable easy-to-clean slanted stainless steel baffle filters are simple to remove and will redirect grease and moisture to hidden grease traps. The Ancona Pro UC Turbo Series Hidden Controls 30-inch range hood is the essential asset that will deliver the utmost culinary experience to your kitchen. 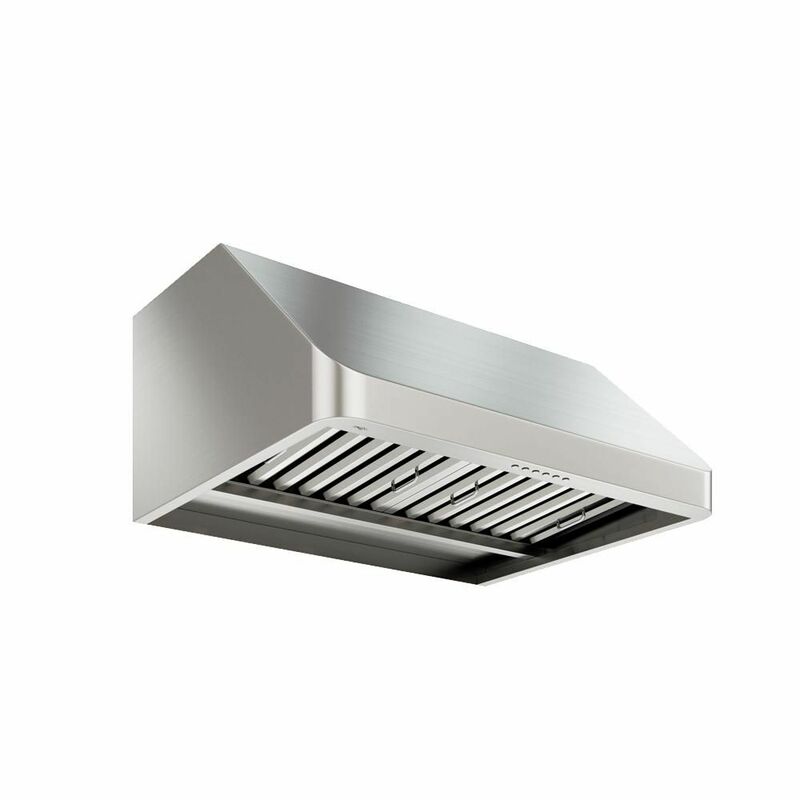 UC PRO Turbo 30 inch Under-Cabinet Range Hood in Stainless Steel is rated 3.8 out of 5 by 78.